Debbie Harry is easy to please. With her natural beauty and her calm and quiet nature, she would be an easy fit into most homes. 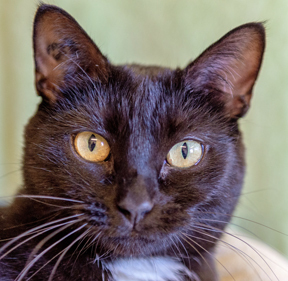 Debbie would do very well with another cat or a cat-friendly dog in the home. What better way to celebrate the holiday season by adopting a new family member.